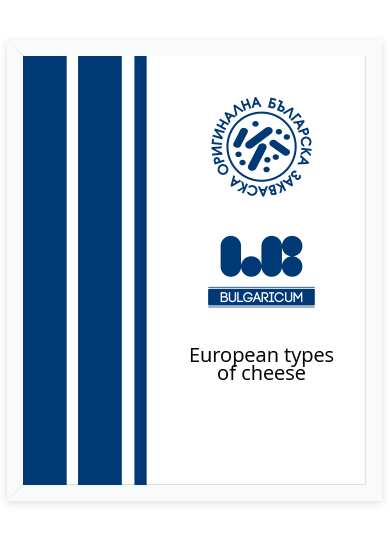 “LB Bulgaricum” offers starters for different types of semi-hard and hard cheese consisting of different types of lactic acid bacteria – Lactobacillus delbrueckii ssp. bulgaricus and Streptococcus thermophilus, supplemented by the strains Lactobacillus helveticus and Lactococcus lactis. The starters are suitable for the production of different types of hard and semi-hard cheese. They are suitable for direct application. They are marketed in three-layer aluminium foil packs of various weight depending on the needs of our clients.